I honestly did not intend to try out Sally Hansen’s miracle gel range. However, after stumbling upon this colour online and noticing that the colour is very similar to how Pacific Blue (from Sally Hansen’s Hard as Nails Xtreme range) used to look like, I could not resist trying it out. I tried out Sally Hansen’s Miracle Gel range in the shade 360 Tidal Wave. It has a basic 2 step application process and claims to last up to 14 days. The colour is a gorgeous vibrant blue that stands out from afar. The consistency of the polish is very good as it only needs 2 coats to be opaque. For all of you who want pretty nails but don’t have the patience to go through the tedious process of base coat to top coat, this range is perfect for you as you don’t need to apply a base coat prior to the colour. 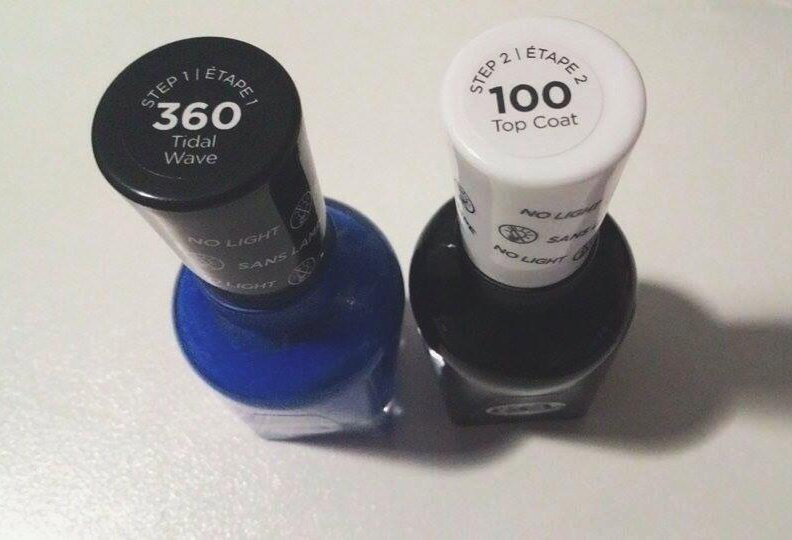 The polish also dries quite fast compared to most polishes. What I really liked about this range is that it dries into a harder layer (similar to how gel polishes dries) than normal polish. While it didn’t last up to 14 days for me, it managed to remain completely intact for the first 5 days before it started to chip after that. For me, 5 days of perfectly intact nail polish is an achievement as my nail polish usually start chipping by day 3. I am definitely considering purchasing the other colours in this range.